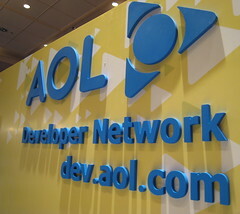 Is AOL’s Seed.com doomed to fail? revitalize AOL by turning it into a bona fide content company. Can AOL find success in niches? The CEO of newly-independent AOL, Tim Armstrong, knows that AOL’s future is not its past. But that doesn’t mean AOL can’t recapture some of the glimmer it’s lost over the years. In an effort to accomplish that, Armstrong is changing AOL’s its focus by, well, getting focused.